IMS & DBH Proudly Carries Manchester Tank! Manchester Tank was established in 1945. During their initial stages of being in business, the manufacturing company was only limited to one product. It was their original five-gallon vertical tank for storage of butane and propane gas. Today, Manchester Tank jumped from having seven employees to hundreds. Setting up multiple services from domestic and industrial cylinders to tanks for automotive and air brake applications. Manchester Tank is known for their high-quality products throughout their years of being in business. 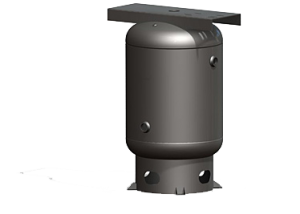 One of their more popular products is their production of top-tier Air Receiver Tanks. These lines of products have been specially made by the experts at Manchester Tank. In order to achieve the best of product excellence, the air receive tanks are created in agreement with the ASME Section VIII Division I code the latest addition. Upon closer look, the vessels have been stamped with “U”. In addition, it’s registered with the National Board. As of now, Manchester Tank is currently on the verge of releasing a lot of other cords, like ABS, USCG, UN, SAE-J10, and many others. Interestingly, most – if not all – of the product lines. To name a few, there’s ASME pressure vessels, compressed air tanks, and even air receivers are permitted for utilization in Canada. Manchester Tank is not taking any chances as they taken their products’ surfaces into consideration. As a matter of fact, their outer exteriors are painted with a coat of standard shop primer. The company’s special feature – special interior and exterior coatings – are quotable depending on the client’s specifications. What Makes Manchester Tank Unique? There are quality-driven, top-tier professionals in Manchester Tank that ensure the company is always on the top of its game. To keep their prominent status in the industry, the company is actively participating a number of elite associations, such as ASME, PVMA, and National Board. With the goal of wanting to cater a wide range of customers globally, they knew they had to meet the demands and expectations of experts and enthusiasts alike. However, despite their wide array of products, Manchester Tank hasn’t stopped developing other lines in order to keep their consumers happy. Please call us! We would be happy to hear from you and we love to answer any questions you might have about our current products or services; industrial machine servicing; line boring equipment; Pneumatic Valves; Welding Products;Steel and Stainless Hydraulic Fittings; Electric Motors and Controls; Paint Booths and Systems; Blow Guns; Hose Reels; Tubing; Pneumatic Compressors; Specialty Welding; CNC Parts, and many more services than we can list.